My research has centred on investigating fungal pathogenesis and virulence, focussing mainly on the opportunistic fungal pathogen Candida albicans and mouse models of infection. It also addresses the 3Rs: Replacement, Reduction and Refinement of animals in research, refining infection models and developing new ways to follow infection in animals. Initially, my research focussed on investigating pathogenesis from the fungal perspective, using experimental infection models to assay the contribution of fungal gene products in virulence. I have also used microarray analyses to compare gene expression in known virulent and attenuated C. albicans clinical isolates, demonstrating that there are few differences under laboratory conditions (Eukaryotic Cell, 2009). More recently, my research has extended into examining host responses, particularly immune responses, during infection in mice. By examining host responses to different C. albicans clinical isolates, I have demonstrated that low virulence isolates stimulate a lower innate immune response than more virulent isolates and that it is the early host response that determines infection outcome (PLoS One, 2009). A study to determine the early renal transcriptional response during progressive C. albicans infection confirmed the massive induction of innate immune responses (FEMS Yeast Research, 2009). My major goal is to gain a better understanding of the factors leading to susceptibility to opportunistic fungal infections and to identify crucial events occurring during infection development, which could potentially allow identification of novel clinical management or therapeutic strategies for these infections. Wellcome Trust WTSA PhD studentship – (with Professor Al Brown (lead) and Professor Gordon Brown) (2015-2018). Ad hoc reviewer for international journals: Antimicrobial Agents and Chemotherapy, Applied and Environmental Microbiology, Cellular Microbiology, Clinical and Vaccine Immunology, FEMS Microbiology Letters, FEMS Microbiology Reviews, International Journal of Antimicrobial Agents, International Journal of Nanomedicine, Journal of Antimicrobial Chemotherapy, Journal of Clinical Microbiology, Journal of Medical Microbiology, Microbiology, Medical Mycology, Molecular Oral Microbiology, Mycopathologia, Mycoses, Mycological Research, and PLoS One. Grant reviewer: Wellcome Trust, Medical Research Council (MRC) and the National Centre for the Replacement, Refinement and Reduction of Animals in Research (NC3Rs). Dr Donna MacCallum is very active in public engagement. She has contributed school workshops, public lectures and family activities at the University of Aberdeen May Festival for each of the four years that the festival has run (https://www.abdn.ac.uk/mayfestival/). She is a registered STEM ambassador (http://www.stemnet.org.uk/ambassadors/) and has carried out science workshops in schools. 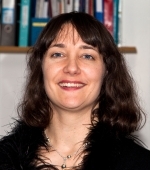 Most recently, she was successful in obtaining a Royal Society Partnership grant with Ms Amanda Kirk of Gilcomstoun Primary School, Aberdeen to carry out a resarch project to investigate whether household cleaners are effective again fungi (2016) (https://royalsociety.org/grants-schemes-awards/grants/partnership-grants/). She was also able to contribute towards Gilcomstoun Primary School's science activities, which contributed to their successful Primary Science Quality Mark Gold Award application (2016). Dr MacCallum was also awarded one of the first National Centre for Replacement, Refinement and Reduction of Animals in Research (NC3Rs) public engagement awards (2016) to talk about how the University of Aberdeen are addressing the 3Rs in their life science research at Doors Open Day 2016 in the Institute of Medical Sciences, University of Aberdeen. Dr MacCallum was also successful in being awarded the first Microbiology Society Microbiology in Society Awards (2016) in collaboration with University of Aberdeen Public Engagement Unit (PERU) and Aberdeen Science Centre to produce a new exhibit to explore the human gut microbiota. Dr MacCallum has also been awarded a Microbiology Society Public Engagement Award (2010) to carry out "germ busting" with nursery children, where the children were shown effective handwashing and their technique was evaluated using UV lamps and fluorescent hand cream. Dr MacCallum recently also designed and ran a Kids Zone workshop for the Killer Fungus exhibit at the Royal Society Summer Science Exhibition in London (2016) (https://royalsociety.org/science-events-and-lectures/summer-science-exhibition/). She will be taking part in Explorathon 2016 at the Aberdeen Science Centre, explaining the resarch carried out in the Aberdeen Fungal Group at the Kingdom of Fungi exhibit (http://www.explorathon.co.uk/aberdeen/asc).